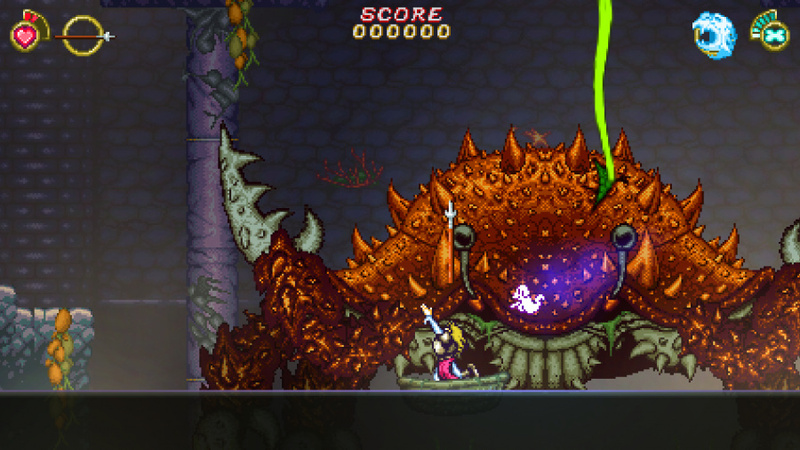 "I hope Maddi is proud of what we’re accomplishing"
With its gorgeous 2D visuals and old-school sensibilities, Battle Princess Madelyn has been on our radar for months now. 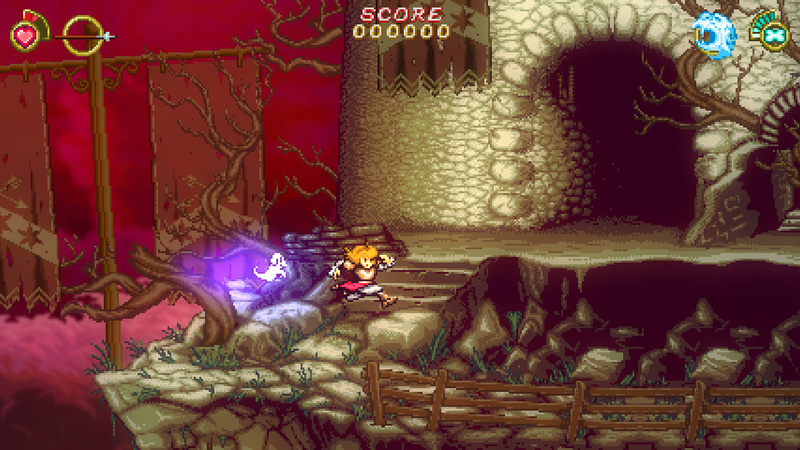 A love letter to games like Ghosts 'n Goblins and Black Tiger, Madelyn is built using Unity and is currently scheduled for release on Switch and Wii U - yes, you read that correctly. We spoke to Causal Bit Games' Chris Obritsch about how the title is shaping up. 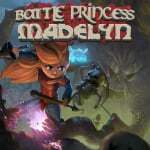 Nintendo Life: Since we last caught up in the Spring, how has development progressed on Battle Princess Madelyn? Chris Obritsch: Very well! We’re getting close to the end at this point - though we’ve recently pushed the game back for the sake of polish. The game has expanded way beyond the size it was originally intended, thanks to the Kickstarter stretch goals. We have also included a cameo for Locomalito and Gryzor87’s Maldita Castilla character Don Ramiro, as well as the introduction of a level set in Spain, which will be reimagined versions of stages of their original game. We’ve completed writing the script for the in-game cinematics and plot. The music and animations are complete. It’s basically coming down to myself and the core team members to finish up and clean up. It’s very exciting! Can you talk a little about the dual challenge of developing for Switch and Wii U? How different are the platforms as development environments, and are there any challenges getting the game to run smoothly on either system? Since we are working in Unity, there isn’t much of a difference for us. We have brought someone external in for helping with porting the game at this point and aside of the controls there really is no difference to highlight. The Switch version is running like a champ right now, and the Wii U only needs minor tweaking so far. Can you talk about your experiences working with Nintendo to date? We haven’t really had much need to talk to them directly at this point. We aren’t hitting any snags with developing the game for the switch and the Wii U is just a matter of optimization. Outstanding - the feedback was invaluable. We were even surprised by people complimenting how our Pre-Alpha is so polished already! Some heavy changes have been made for tuning since we did that build. Controls are much snappier, and collisions are working properly when attacking enemies below you. Madelyn has additional jumping animations, and bugs reported have been fixed, of course! Two big feedback changes we did were notable. The first being the ability to jump onto ladders from the ground - this actually allowed for some neat gameplay in the mid to later levels of jumping between ladders and over deadly obstacles. Another was shooting from ladders. We originally had 4 way shooting from ladders but it made the game way too easy. We opted to leave in the ability to shoot left and right but not up and down. It just felt wrong... almost sloppy. The Kickstarter campaign was a big success, hitting multiple stretch goals; what were the biggest factors in that positive result, do you think? Outside of our marketing team? I think people hearing that this game is for my daughter and that she is so heavily involved in the development was a large factor. I was very hesitant to even mention that she was involved when it came to the Kickstarter, it would have been nice to let the game do its own thing. But I think that her story of being involved in making the game is what got it the most attention. Limited Run Games agreeing to do the PS4 physical run of the game was a gigantic boost as well. Have those stretch goals added any particular pressures to development? Of course. This is why we have always said that the game has a Q1 2018 release date (the Feb one on Kickstarter was just an estimate before the additions - you can’t change the Kickstarter details once the campaign is live). I now have to do - on top of the already roughly 50 stages of story mode - 10 extra levels of Arcade Mode. Additional art is needed to blend the stages together seamlessly, additional coding to allow for the alternate, faster paced gameplay, etc. All of the NPCs had to be drawn, the backer weapons and the additional armours as well. On top of NPCs being drawn, they are now all characters Madelyn will interact with. That’s added a bit to writing, art and code, but we wanted to make it a special experience for the backers and not have them all clumped into a bar spouting out their names! Has the game evolved in any notable ways over the past six months, and is Maddi still heavily involved? Maddi is, of course, still heavily involved, and as of this writing, I think she still owes me some enemies and a boss drawing! The removal of the Mario-styled map system for a more “open world” approach, and the addition of fast travel using Fritzy (the dog)’s magic has sped up the way the player will access certain areas. It ties in better with the story and the levels (until the mid-point of the game) can be travelled through directly, but leaving an area either left or right side of map where there is a sign or even upwards if a road and sign exist. What's been the most exciting part of development in your view, and on the flipside, what’s been the biggest challenge? Working with Maddi, and seeing her get excited over her ideas coming to life, is for me the most exciting and rewarding part of the development. Last November was her seventh birthday and she hasn’t really come to grips of how this game is affecting people, either. We receive personal emails and messages from people saying they’re so glad that this game is giving her a voice - and them! It doesn’t matter that she is a girl - that she can be whatever she wants to be! And this was never the intent of the game, as I’ve mentioned to others before - if I had a son instead I would have done a game for him. That brings me to the most negative part of the game development so far - the ever-loving public opinion! People who don’t know the background of the game, outwardly insulting us or saying it’s entirely made up just to sell a game. I think the best thing I read is that I have an imaginary daughter! I’m just happy Maddi isn’t on the internet looking for or reading these things. I’m not an activist pushing my views or anything - I have absolutely no opinion on these things. I’m simply doing this for my daughter - she wanted a game, she’s getting it, because I can do it! We take the insults with a grain of salt. It is the internet after all - people are entitled to their opinion - no matter how silly and uneducated their comments are! At the end of the day they don’t know us and we don’t know them. The lower end consoles are a bit of pain to maximize performance with Unity, but nothing we shouldn’t be able to handle. We’ve had to make a few visual sacrifices for consoles so far but nothing too drastic, but as the designer and artist for the game it’s a real kick in the pants. I want everything moving and animated but it’s just not always possible due to memory restrictions and what the different consoles can handle shader wise. Since the team is scattered around the globe it’s sometimes harder to communicate what you mean simply by words alone. We always manage though - we always have video and audio references. But sometimes capturing video to send someone a bug is a pain in the but when you’re permanently in crunch with your own work! So far, the team has been outstanding and I hope Maddi is proud of what we’re accomplishing, even though she doesn’t fully understand the extent of what we are doing yet. 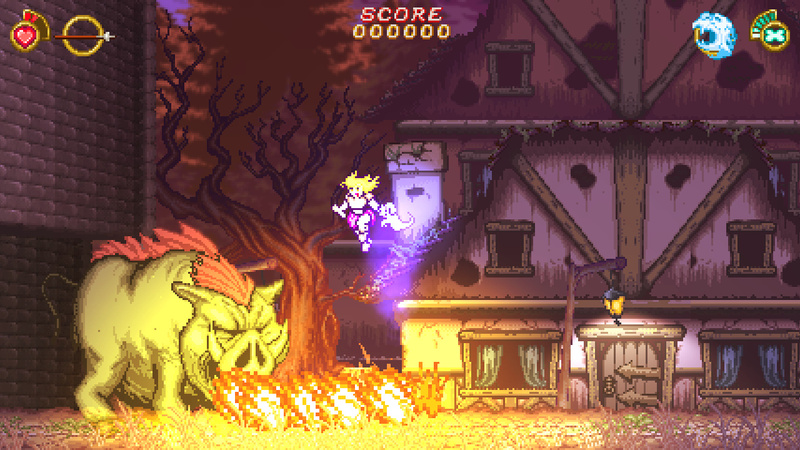 Do you have any final words for our readers on what they can expect with Battle Princess Madelyn? Buckle up! This is going to be one heck of a game! I’ve had people tell me they spent two to four hours in the Pre-Alpha demo, exploring and looking for secrets and the dolls and that they loved every second of it! I tell them “Good! Because there are nine more levels of that for you to do in Story Mode alone!”. And for those people who are old and cranky like me, and want a true retro game fix and don’t have 10+ hours to put into exploring story mode, look no further than arcade mode! I’ve got pro retro gamers and testers testing the levels and enemy layouts to make sure the rhythm and flow is just right! Madelyn and myself are just as excited to play the final game as everyone else! Thanks to Chris for his time. Been looking forward to this game for ages since the Kickstarter. I remember being first caught by how he used Maddi to help design the game and I thought that was the sweetest thing. Glad it's coming along nicely, can't wait to play it. I was a backer of this and I've loved the updates. It's just so sweet. More than that it looks like a really high quality game, and it seems to be basically delivered on time. Yeah there's the slight delay mentioned here but nothing like typical kickstarter. I didn't download the demo, just figured I'd experience the full game when it releases. Can't wait for it to be finished. Looks like one of the best 2D games to me. Even more appealing if you're a Ghouls 'n' Ghosts fan. I wonder if once you 'beat' the game, they send you back, making you play thru it AGAIN. I 'beat' Super Ghouls and Ghosts, once, but turned the system off in sheer disappointment once that happened. This game looks awesome regardless! This sounds great. Looking forward to seeing how it turns out. @TossedLlama in situations like that, I like to find a longplay video and satisfy my curiosity about what the actual ending is like. Some games aren't worth the frustration. 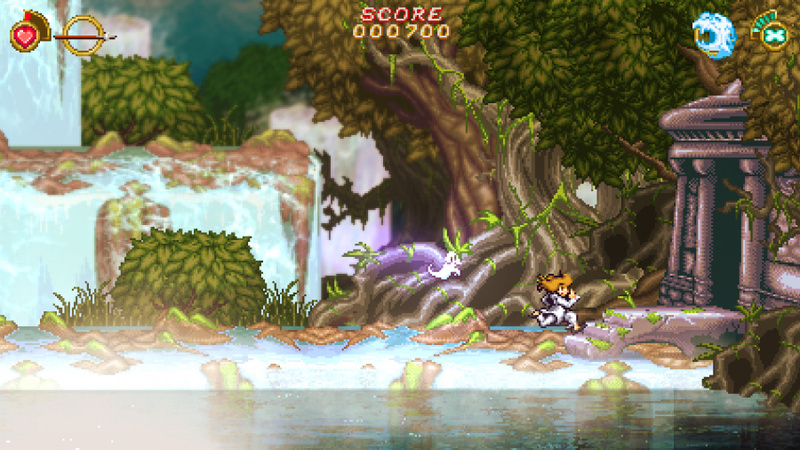 Ghouls n Ghosts +? Count me in, looks a treat! Thank you for bringing this to the Wii U. The game looks beautiful. It goes to show that other developers could give Wii U ports along with Switch versions. I've always liked the visual style of this game and I've always enjoyed the developer interviews. Also, I like that they realized that the story mode may not be for everyone(depending on how elements are implemented) and have also included a proper arcade mode. I hope to find both modes enjoyable. I'll be keeping an eye on reviews. 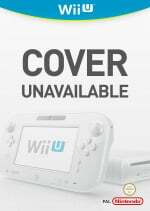 And credit to them for sticking with the Wii U for those that have it. @TossedLlama - Yeah, that was pretty annoying. I finally managed it on Virtual Console, but only with save states. It wouldn't have been so bad with a save between levels, but the original games didn't even have that. I was just thinking about this the other day. Glad to read we shouldn't be waiting much longer for it. It's looking very nice. A certain day one purchase for me. I'd love to play Cursed Castilla too but I don't think it's been announced as coming to Switch. Seems like it should be a no brainer to me though. I have been patiently waiting for this game and I am glad to hear that it is almost time. It looks amazing! The shout out to Madilla Castilla is very cool. Love that game on the 3DS. I’m picking this up for sure. I'm looking forward to playing this. Not too long a wait now. @bluesdance What a weirdly specific award title. @Alucard83 You mean Super Princess Peach? I should've said a huge thank you to you all for your positive comments on Battle Princess Madelyn, from the Causal Bit Team and PR Hound team. Really, really looking forward to you guys getting your hands on this special game! Hope the idiots who made Bloodstained and Yooka-Laylee sees this. This is how you keep the promise to your loyal backers. @eripmav I am aware and I love that it is. I was just referring to @bluesdance‘s comment on how Battle Princess Madelyn is already a strong contender for an award category weirdly specific to this game and only this game. All in all, a jokey reply to a jokey comment. @GoldenGamer88 It's not only this game. That's why he included "Madeline" as an alternate spelling. @retro_player_22 We've worked very closely with the team and we both believe that it's essential to keep backers informed with every step of what's going on. After all, without you guys we wouldn't be here now! Day 1 one physical purchase - need good G&G style games badly. Nice to see that they haven't forgotten about those with a Wii U. @retro_player_22 Bloodstained has been good about updates - been transparent about issues, like when they dropped Inti. @retro_player_22 Not developing for a fail system is the practical thing to do, tho. @JimmySpades Never said it was. It‘s just oddly specific. Jeez, for a joke reply to a joke, people sure are taking this very seriously. One of the better looking retro style games. lucky my neighbors owned the game and not me. Us 'kids' didn't 'beat' the game tho; their mother did and she was PISSED. I was just referring to @bluesdance‘s comment on how Battle Princess Madelyn is already a strong contender for an award category weirdly specific to this game and only this game. The joke isn't the specificity of the award. It is that, despite how specific it is, there are two games competing for it. @GC-161 Yeah but when they receive fund from the people who wanted a port on that system regardless if that is a failed system or not, they need to get through with the promise. The reason many give them money in the first place is to keep that hope that there is still a game coming for that platform, choosing to just break that promise will eventually lose trust to some of their backers. If they can't deliver what they promise then they shouldn't promise anything at all to begin with which is why I called them idiots. Will be picking up the switch version when it drops. @JimmySpades Oh yeah, ya got me. In my defense, I‘ve written so much today. Anyway, there is another contender? Now, you got me curious. Yay for being a Princess Madeline backer! Awesome game and the Daughter's design drawings are very inspiring! Maybe the writer is thinking everyone already knows about it, but it doesn't become clear WHO is Maddi, until half the article. I was thinking when I first read the answer to "Has the game evolved in any notable ways over the past six months, and is Maddi still heavily involved? ", so, hey, is Maddi a famous and known developer? But later on, it seems to be talking about his daughter, even when there's no place where it says Maddi is the daughter. @Olmectron I guess they just assume you've followed the development of this game. She's his 7 year old daughter who liked watching him play games and wanted to be in one so he decided to make the game starring her and she'd do boss art and stuff. @Olmectron - this is a follow up article. Maybe Damien would be so kind to link to the the previous piece? @GoldenGamer88 It's all good. The other game is Celeste, which is named after the mountain that the player climbs, and not the character, who is named Madeline. It's a great game, but is brutally difficult, to the point where I believe parts go beyond difficult into the realm of unfair. Still, I recommend it, in the same way I recommend my favorite hot sauces--it won't appeal to many people, but the people it does appeal to will love it. @JimmySpades Oh yeah, of course, I heard of it. But is it really that difficult? I should watch some playthroughs on YouTube before making a purchase then. Not really one who likes a challenging game. I mean, I play games to relax, not to get even more stressed out. Nobody gonna have a meltdown over the 2D pixel graphics? Looks pretty great to me. It shall be mine, on Switch of course. So is it supposed to have the difficulty of Ghosts and Goblins? If so I'll pass. @GoldenGamer88 It's difficult enough that I'm just more than halfway through and I've died more than 1,000 times. Of course, part of that is that I don't have the skills I had during the NES days, and part of that is the Pro Controller's bu115h1t d-pad. I’m loving everything I see of this game. I’m not sure if a physical version for the Switch is coming but I really hope it does! And I hope (I REALLY hope) that the game comes to Japan at the same time as the West, since most indie games seem to come here months and months (if they even get released) after every other country. Good pixel art. I love pixel art even if its over saturated these days, the ones with a ton of passion put into them stick out like this and Owlboy. Wow, this looks so much like Ghouls n Ghosts I'm surprised it's not from Capcom. Yeah I think I'm going to have to play this one. I was a huge fan of the Ghosts n Goblins series back in the day. Loved the arcade games but could never get that far into them but as soon as the MegaDrive came out I got Ghouls n Ghosts and played the hell out of it. Then I got Super Ghouls n Ghosts on the SNES and mastered that. I used to be able to complete that game fairly easily. Ultimate Ghosts n Goblins on the PSP was the hardest in the series. I even enjoyed the Maximo games on PS2. Capcom needs to bring Arthur back. There were a lot of other not so known GnG games that came out. Two iPhone originals called Gold Knights 1 and 2 I think and then the odd little wonderswan game. @CBChris Yeah it's a classic series and it's a shame that Capcom haven't done anything new with it. Did you get into the Gargoyles Quest and Demons Crest games too? this and bloodstained are the games im glad i backed. cant wait to get my exclusive weapons and armor for this game. im the sexiest kickstarter backer in the history of mankind. lol i know you swear by the supergrafx version. yer not the only one here whos old and cranky. me and a few other of my fine, fine friends are too. welcome to the nl retirement home. @CBChris You have a Supergrafx, wow nice! I always wanted the original PC Engine but yeah, Supergrafx, that's one cool retro system. @Nomad Yeah... I bought it just for GnG and 1941 It's a pretty amazing system coupled with the CD-ROM attachment an an arcade card. "The Beast" is my favorite system in my collection!